Whether you are sending me or anyone else for that matter a specimen for taxidermy you want it to be in the best possible condition. For feathered or fur bearing or reptiles wrap the specimen in several layers of plastic wrap, place in freezer until ready to pack for shipping. For fish, crabs, lobster, crawfish, etc. as soon as possible place the specimen in a container that has a tight fitting lid and is of suitable size to provide 1 inch clearance below, above and on both sides of the specimen. Fill the container with cold water and freeze completely. After you apply the tight fitting lid firmly tape the top on by wrapping the tape completey around the container serveral times. This will provide the best specimen for taxidermy. The water protects the item from freezer burn and keeps it from drying out. If the specimen has been the freezer without being frozen in water, place it in a container of ice cold water and freeze completley. For saltwater fish I recommend adding a teaspoon of salt to the water used to freeze the specimen. Determine a suitable box or styrofoam cooler to hold the container. 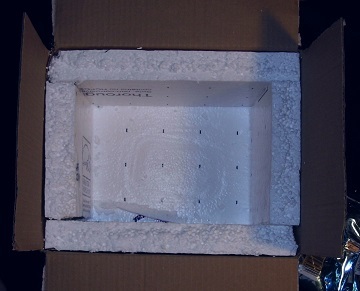 If no cooler or if you prefer obtain some styrofoam and cut the pieces to make a box in the box. First get a trash bag or plastic bag big enough to line the box before you start inserting the styrofoam pieces. 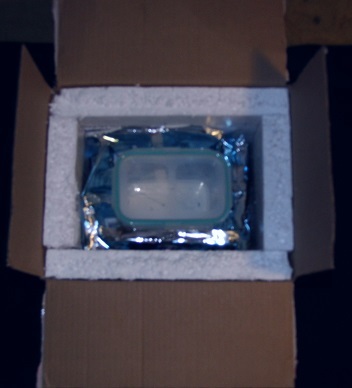 If you are using a styrofoam cooler I recommend sealing it in a plastic bag before shipping just in case the container leaks. If you are cutting pieces you will want to use 6( bottom, 4 sides and top). Use chem ice or dry ice if you wish but this is normally not needed if the shipment will arrive at my location in 2 days which most priority mail will from the east and gulf coast areas. If it is going to be 3 days definitely use some chem or dry ice. Do not ship if it takes more than 3 days unless it is winter weather at your location and mine. I recommend USPS priority mail as it is the most economical and the post office is very close by. Insure your item! If you ship by USPS send to po box 94, Marshallberg, NC 28553. If using any other service, ship to 1120 Marshallberg Rd, Marshallberg, NC 28553. Regardless of what carrier you use ship only on Monday or Tuesday to allow the item the best chance of getting to me without sitting in a hub or post office over the weekend - can you say "very smelly package". Try to keep the item frozen as long as possible before shipping and if you get fit the package that will be shipped in the freezer before taking to the post office even better. Most post offices do not ship out until 4 pm so you may want to wait until 3 to get there, but check with your local branch first. You never know these days. I have received specimens in great shape from as far away as Washington and California. If you prepare yours in the manner described it will arrive in very good shape. The first I have to do when I receive a specimen is thaw it so if the ice is melted the water is always still cold and acts as a buffer protecting the item from damage. Just make sure the frozen container is packed so there will be no movement in the box. Feel free to contact me with any questions you may still have. The better condition the specimen is in when I receive it, the better finished mount will be. Always contact me before shipping any specimen to be sure I will be here to receive it. If arrangements have not been made, I will not accept the package.